Fun and excitement – for lovers of historic racing cars and those still in the making: The “Bosch Hockenheim Historic – The Jim Clark Revival” event brings you all of this. 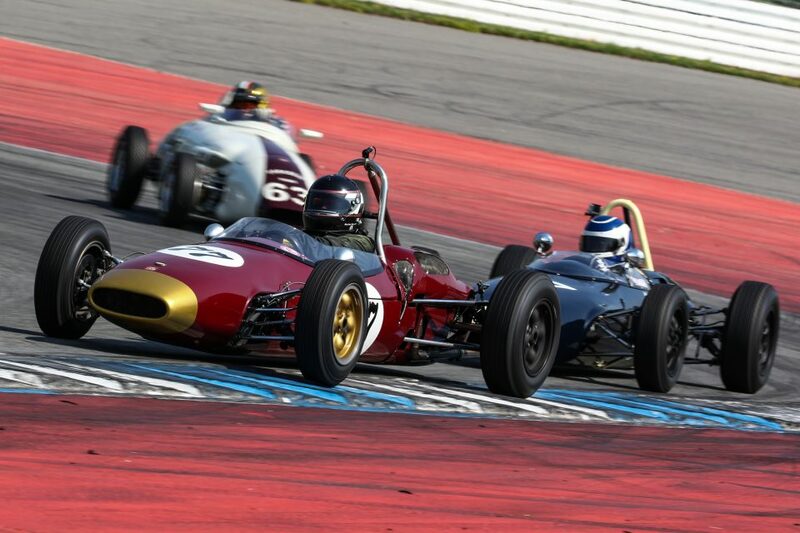 From 26 to 28 April, the Hockenheimring Baden-Württemberg will open its doors to fascinating racing cars of all classes and eras, which enjoyed success in more than a dozen different racing series on the Grand Prix circuit. This classic car event is very open to its visitors, which makes it special: visitors can even experience the pit. Time permitting, visitors who are interested can also sit in a valuable, historic racing car and have their photograph taken to immortalise this unforgettable moment. This brings pure joy – and creates the next generation of fans…a varied programme of supporting events tops off the Hockenheim days. The Jim Clark Revival, which was initiated in 2005 in honour of the two-time Formula 1 World Champion from Scotland, has long been established as a firm diary date in the booming historic series calendar. Lots of people see the Hockenheimring as a way to kick off the new season. More than a dozen racing series honour the tradition – and the majority do so in a dynamic competition. Two of them in particular are a reminder of Jim Clark, who lost his life on the Hockenheimring in 1968: the historic Formula 2 and the Lotus Europe Cup. Both of these championships inspire great enthusiasm with their large starter fields and duel-style racing – much to the joy of the spectators! Sheer power and phenomenal sound – that’s what sets the traditional partners BOSS GP (Big Open Single Seaters) and the CanAm-Cup apart. Fans of screeching ten-cylinder engines will certainly get what they came for from an acoustic perspective when more recent Formula 1 racing cars and other awesome Formula vehicles from various categories tear around the Grand Prix track in the BOSS-GP series. For the outstanding representatives of the CanAm-Cup it’s got to be: loud, bad and fast. When these racing cars are thundering along the straight sections, it’s as if you can feel the vibrations in the stands. Raceclub Germany’s precious cars promise that certain something extra with Formula vehicles of all categories and classes – as well as highlights such as Stirling Moss’s Maserati 250 F. Team FNT is making the most of the original Toyota Formula 1 racing cars of the 2000s – they are extremely technically demanding. So that’s why you absolutely must take a look in the FNT box! Brave battles for positions and paint swaps are part and parcel of the day in the various touring car series, such as the Special Touring Car Trophy, the Youngtimer Touring Car Challenge and the Triumph Competition. No roof, but nonetheless the same competitive spirit: the stakeholders in the Historic Racecar Association and the FIA Lurani Trophy. New to the starter field are the “FHR 100 Mile Trophy” for touring cars, GTs and racing cars from the 70s and 80s as well as the “FHR A Gentle Drivers Trophy” for GTs and racing cars built between 1947 and 1965. The Mercedes-Benz Gullwing is also there, setting pulses racing. Visitors will find historic flair all over the Hockenheimring site. So, for example, the pit roof becomes a promenade; a colourful range of devotional objects can be found there on the stands. In the middle of the paddock, the Congress Pavilion is a kind of haven of peace, where visitors can catch their breath while taking in the traditional Jim Clark exhibition. And in the automobile club area near the eastern stand (previously the Mercedes stand), you can feast your eyes on countless enthusiast cars. Tip for all visitors: simply enjoy. Ten euros gets you in to take a look on Friday, tickets cost 30 euros for Saturday or Sunday and 45 euros for the weekend; admission is free for wheelchair users and children under 14 years old – drivers’ paddock and free choice of seats included. Tickets are available via the online ticket shop or via the hotline +49(0)6205 950-222. For further information go to: www.hockenheim-historic.de.